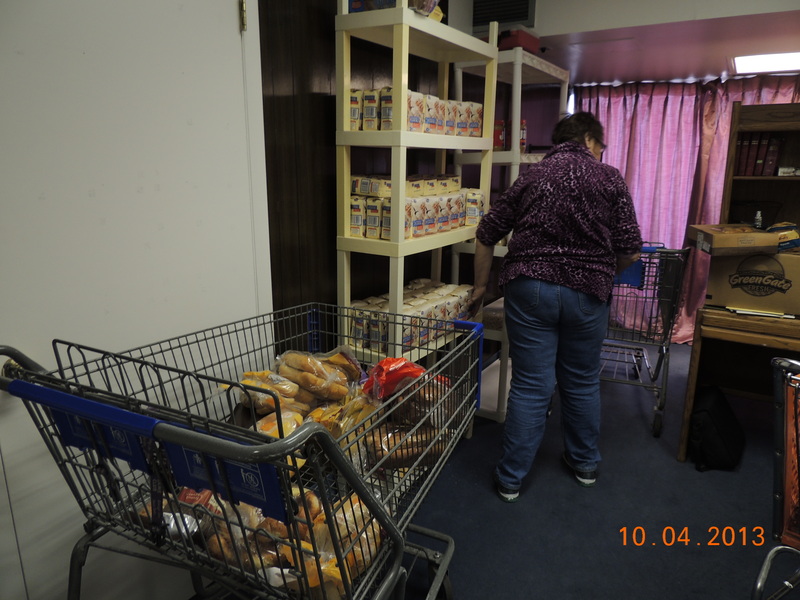 Overcomers Church | Assistance. Understanding. Compassion. Guidance. 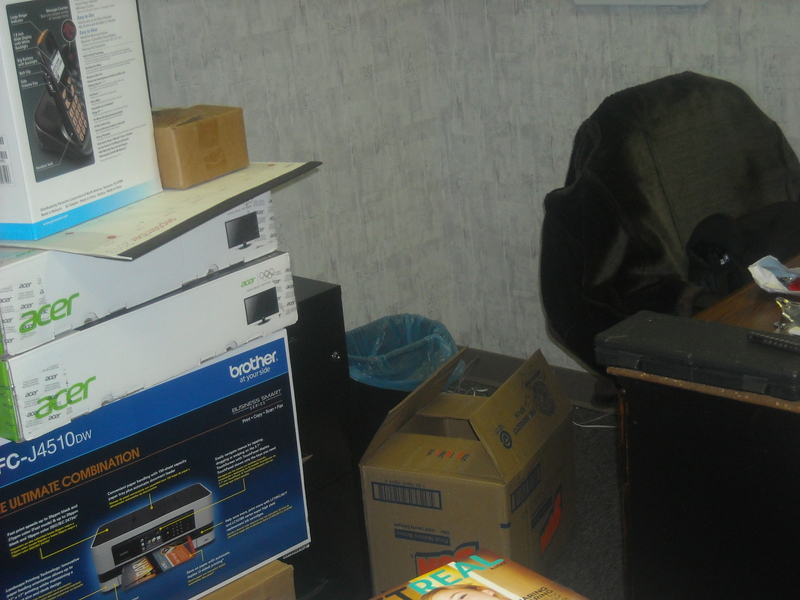 Working in a small Ministry, it is a task finding tools with Enterprise functionality on a smaller scale. Researching several different types of software, we found that most internet administration applications were either too complex, or did not suit our needs. When we found WFilter, it was simple to set up and integrate in to our domain. We had to make very few changes to our current network setup. The software has multiple options for configuration, and very helpful tools for diagnosing setup & network issues. WFilter also integrates nicely with Active Directory. Filter options include; by device, by user, and by department! This product is extremely customizable and easy to use. Our organization utilizes only 9 computers and 1 server that hosts and services only 21 users. We wanted easy to use Internet Administration software with enterprise functionality, at small non-profit cost. And that is just what we got from WFilter! about what you’re wearing. A nice outfit may not make you any more or less qualified, but it can put a little spring in your step, add a little confidence, or at least give you one less thing to worry about during an interview or that first week on the job. 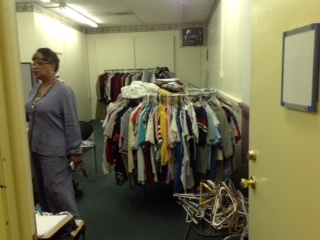 That’s the kind of relief Overcomers International Ministry is aiming to provide with their new Business Boutique, which will have its Grand Opening January 20th within Clifton’s Curios Antique shop at 1980 D. South Academy (behind Big Lots). 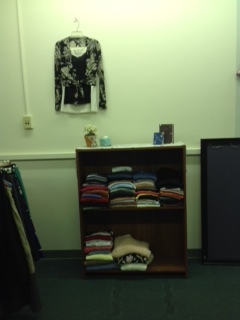 The Business Boutique offers business appropriate clothing, free of charge to anyone (men and women) who needs it. 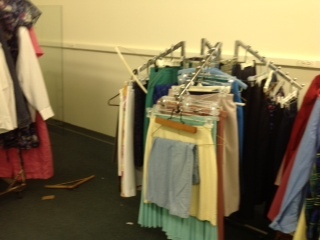 One can pick out 3-5 outfits, depending on stock. You don’t have to get them all at once. You can get one or two today and come back and get another one or two next week. 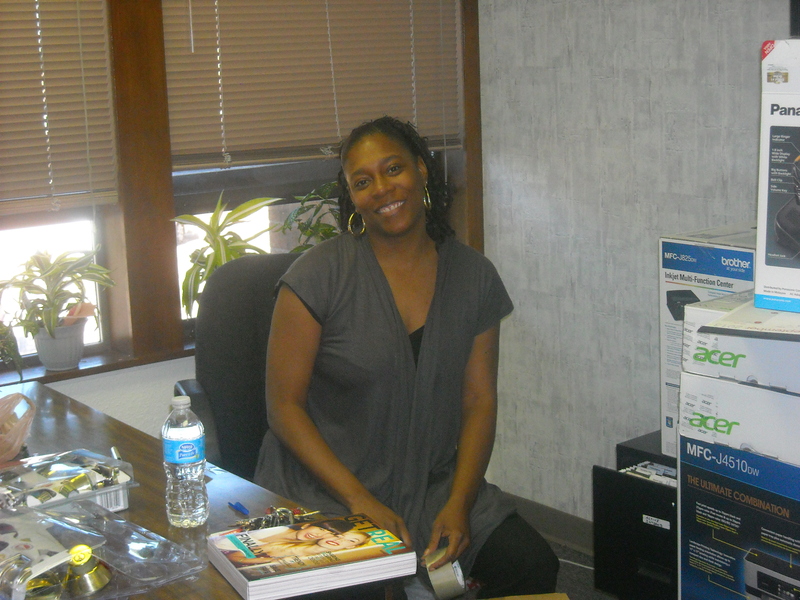 Overcomers Ministry was founded in 2006 by Iva Bowers. 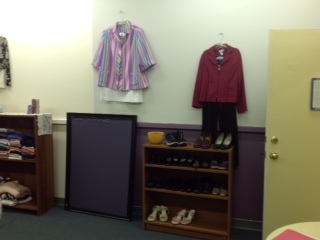 In addition to the new Business Boutique, they also operate a food pantry, provide regular clothing and have a program for expectant mothers. Those services are provided out of their offices at 411 Lakewood Circle, unit C205A (second floor of the Satellite Hotel). 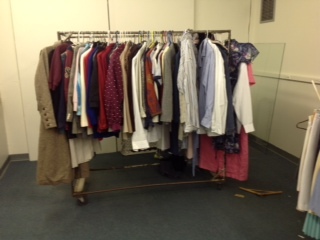 They are always grateful for donations of cash or items. 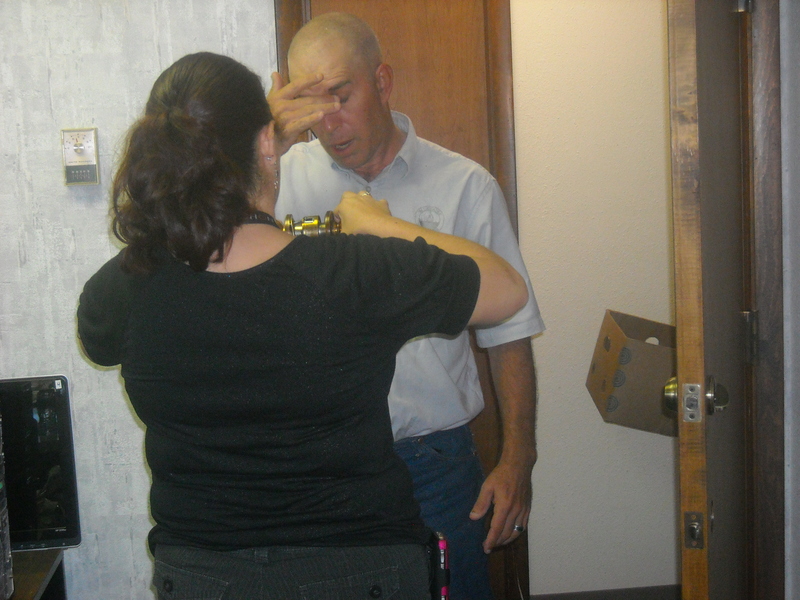 If you’d like to help you can call 719-646-5354 or email ibowers@oimco.org or cspencer@oimco.org. 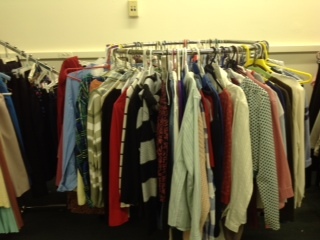 Now that you’ve seen what Iva’s done for those in the community…are you willing to help us do even more??! Donate today; support us today. Go to http://www.oimco.org and bless us financially!! We’d also love to see you at church so don’t be a stranger!! 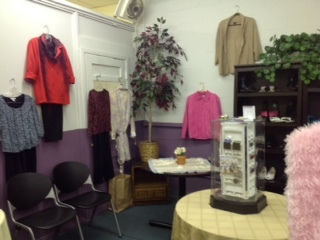 The day that the Business Boutique opened, I met Apostle Iva at the front of Goodwill. I had just quit smoking and was doing just fine, just quietly waiting for her to arrive. I had butterflies in my stomach but that was nervous excitement (Seriously, not kidding- I’ve literally NO cravings for cigarettes, thank you LORD!) Anyway, she pulled up in front and got out of the car. I helped her carry stuff in and she said, “Wait till you see it!”. I walked into the room and my jaw hit the ground, ya’ll. 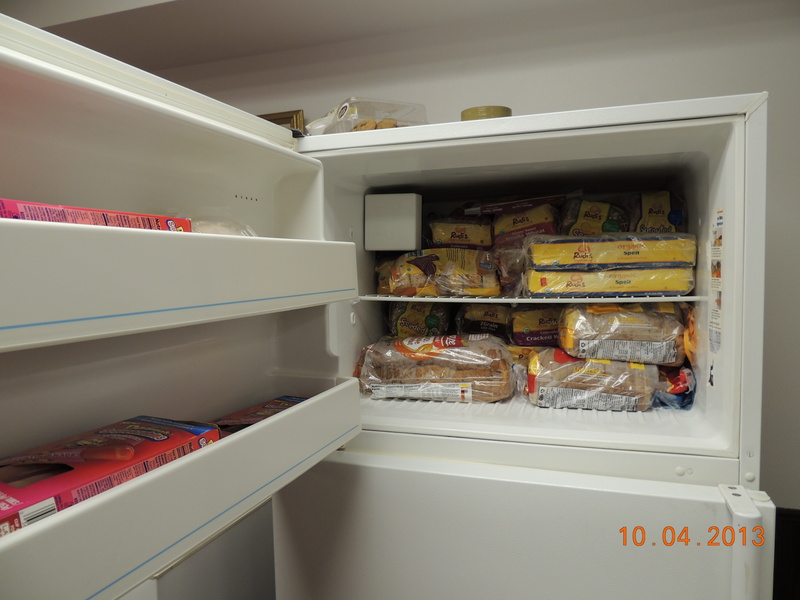 If you look at the before and after pictures, it’s not hard to figure out why! 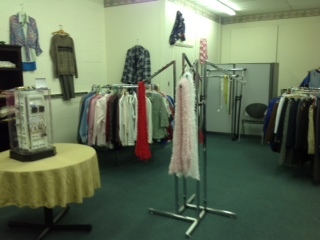 And these are the pictures of what the Boutique looked like BEFORE it’s reinvention!! HEAR YE, HEAR YE!! 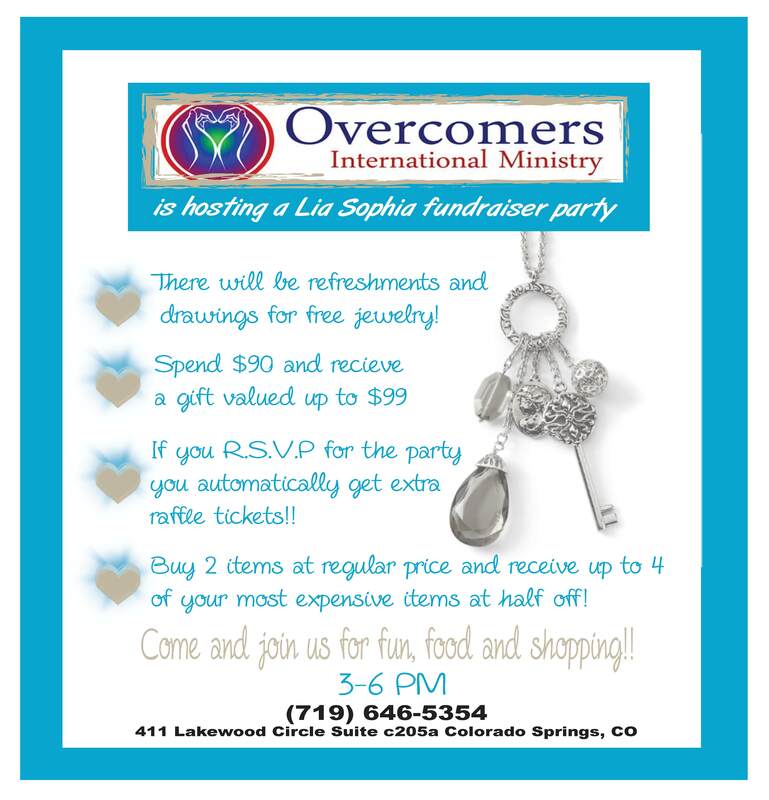 This coming Saturday, here at 411 Lakewood Circle, Suite c205a, in Colorado Springs there will be a Lia Sophia Party!! The public is invited! As you can see from the flyer, this will be well worth attending if you have any spare time whatsoever! I will be there and I hope that you will, too! R.S.V.P. at https://docs.google.com/forms/d/1LuIKF4hhRaniGaXUvE6uOYx0BSwfqOSA20pVEWxgKGg/viewform. The invite goes to any and all in the area! Manitou Springs, you are invited as well!! You can also go here to this link: https://docs.google.com/forms/d/15HJIqU-jKOC2-oLitlrZkYR-NJbQTZ0sI8kEsBR88s4/viewform. It will automatically collect the R.S.V.P. And for those who are out of state, who would like to attend, you can do so long distance by going to Lia Sophia’s webpage: http://sites.liasophia.com/sites/halleneandnadine/productcatalog?page=cataloglisting. Good morning, family and friends!! I pray you are sooo blessed this morning! 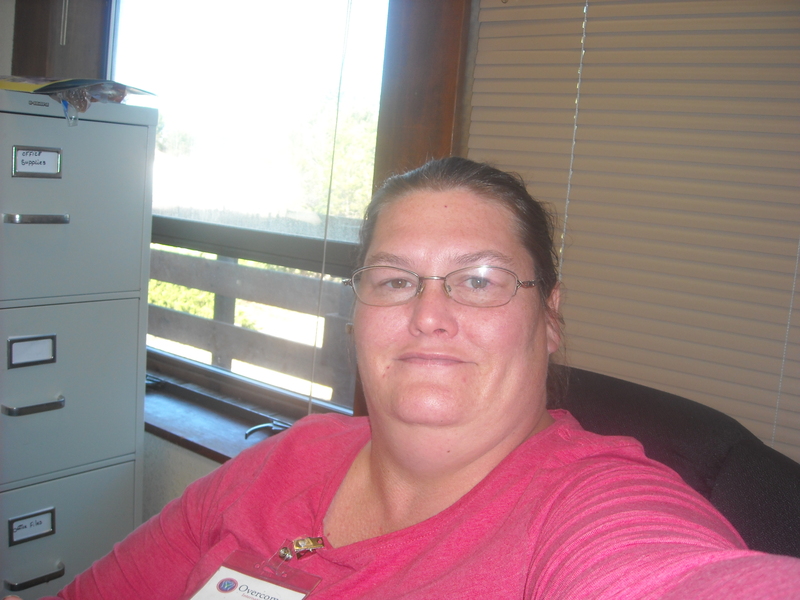 This is Heidi, moderator of this page. I’ve been working at for almost 8 months now and I love it more now than the day I slipped my way in to interview with Apostle Iva Bowers for the position. Now, it’s 8 months later and I have so much more knowledge of the organization than I did all these months ago. I also have less time! The more I do, the more there IS to do…bet that sounds familiar, doesn’t it??! I live in my own little world, sometimes. It’s hard being me, and no one could do it better than I. Sounds weird, right? You’d be amazed at how much introspection goes on within me. See, the Bible talks about God knowing all about us…knowing our rising and our sitting; our getting up and our laying down. As much as possible, given the fact that I will have to stand before Him one day and wanting to be ready, I spend a lot of time maintaining my life. I don’t do everything right and even do a lot wrong but I’m here 100% for Overcomers International Ministry and I am blessed beyond belief to have been given the opportunity to serve my community – and my God – in this small way. In my mind, the only thing that could POSSIBLY make my life any better is a paycheck of SOME size…then I could “volunteer” to my heart’s content. I LOVE nonprofit organizations! I’ve been around them for decades and human interest is definitely closest to my heart. The homeless, the sick and disadvantaged – these are the people who rip my heart out…and make it beat. God knows the integrity of my spirit. He knows that, while I fall all the time, and have trouble saying “no” to anyone, that there’s NOTHING I won’t do to please my Daddy. So, who am I? I’ve been managing this page for months and though activity has increased a bit in recent weeks (I’ve been praying for success in my social media pursuits), I don’t think I’ve ever covered who I am. My name is Heidi Joy Hameed. I am almost 41 years old. I have lived in 6 states, so many towns/cities it’s not even funny. I have been through foster care, adopted (not particularly happily but at least I was reared in the knowledge of Scripture and the Heidelberg Catechism I’m not writing the things I am as a sympathy ploy – at almost 41 years old, it’s way too late to spend time thinking my past with the view of feeling sorry for myself. Too many blessings are in my life, too little time remains between now and when the next customer comes through the door seeking help to survive in this wretched life, so often living with the feeling of abandonment. It’s hard to be homeless; it’s hard to be poor. These days, it seems to be the norm for people to kind of smooth life issues over in an attempt (recognized or not) to not have to deal with issues in society; issues in our own personal lives. Too little time remains till Yeshua comes to take <part of> the flock home. Overcomers International Ministry is my home-away-from-home. I spend most of my time here. When I’m not here, I’m thinking about it. I want to be effective here; efficient with my time, successful with my attempts to get funds coming in to this nonprofit, whose sole goal is to help as many in the community as possible; to further the gospel. We walk by faith; we’re faithful with the least. 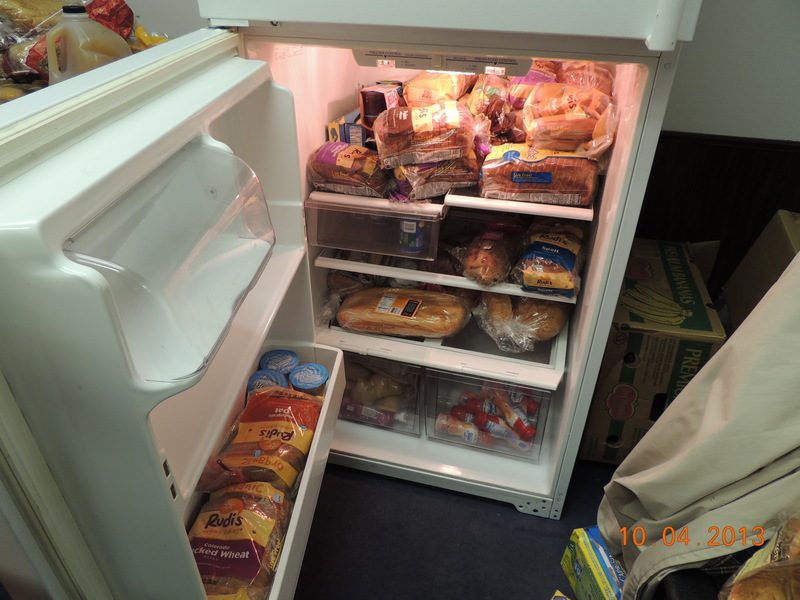 It’s taken me all morning to write this particular blog because I’ve been talking to people, helping bring food into the building to be inventoried and sent out to other places, to partners we’ve created alliances with. I’ve asked God – my Father- to guide and direct my path. As always, we are accepting donations. To donate by Pay Pal or by CC, go to http://www.oimco.org and do so. If you wish to mail a check, make it payable to Overcomers International Ministry. May God bless you each and every day. We covet your prayers…as James says, “The strong, effectual prayer of the righteous man avails much”. We are so thankful to God for partners. 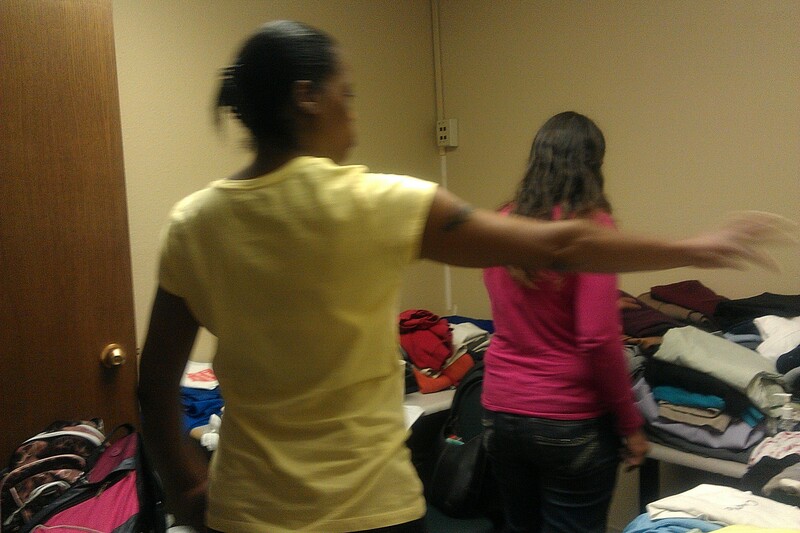 We thank him for Women’s Resource Center for donating the clothes that we’ve been able to bless people with! 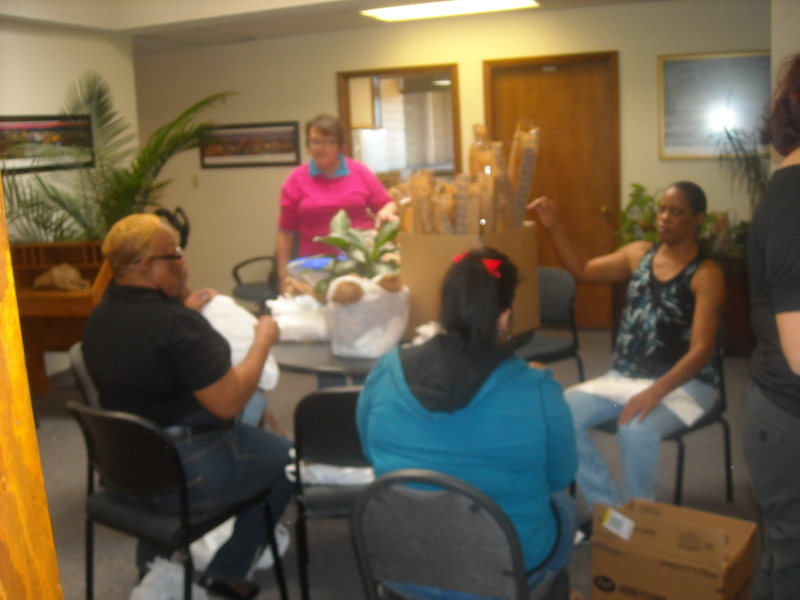 Without them, we would not be able to help as many as we want to! A couple weeks ago, I was asked to check out a website for the purpose of connecting with potential partners. 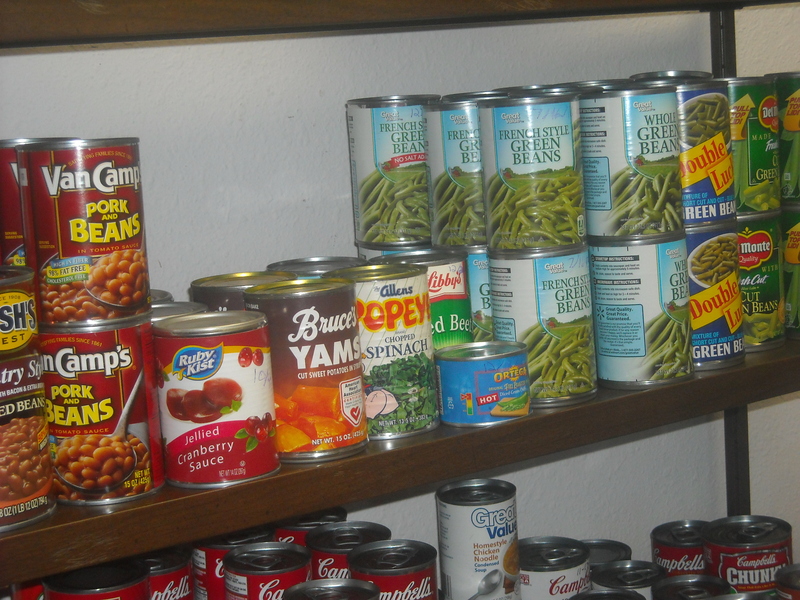 I did so, and came across a food pantry called Compassion Food Pantry. 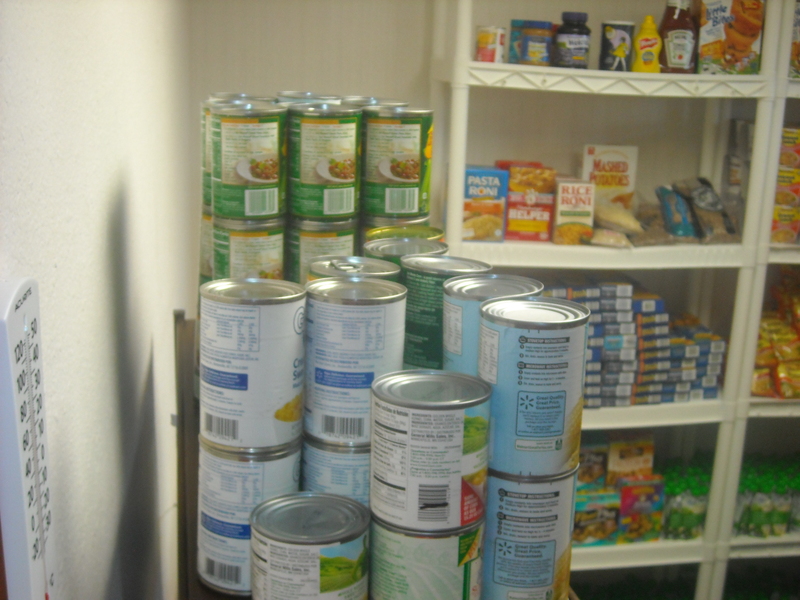 They have multiple sites in multiple places so I called and spoke to a gentleman about their donating food to us here at . The gentleman that I got into contact with, called me and referred me to his brother. 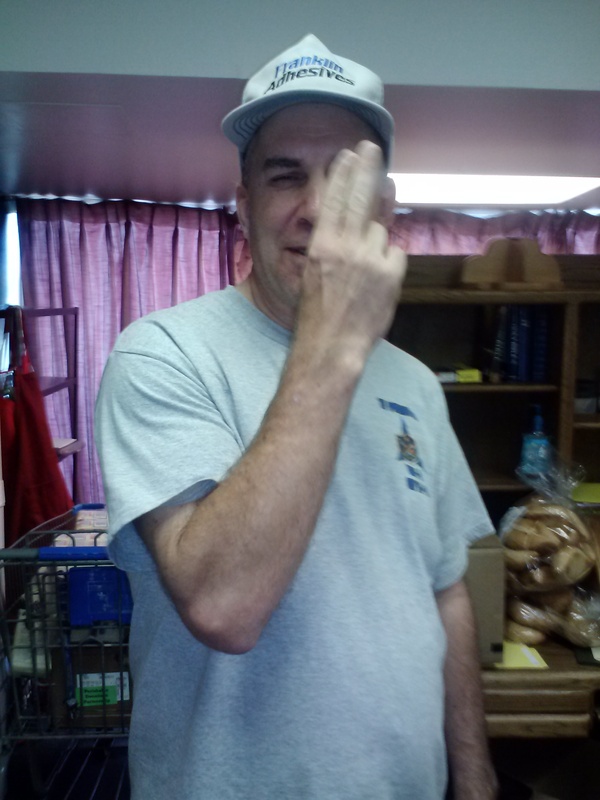 I got into contact with him, along with my boss, and he graciously made time to both talk with us as well as donated to us so that we could feed others. I am so thankful for this group. They’ve worked 24/7 to help those affected by the heavy rains (floods) here in Colorado as well as the fires before the flooding. 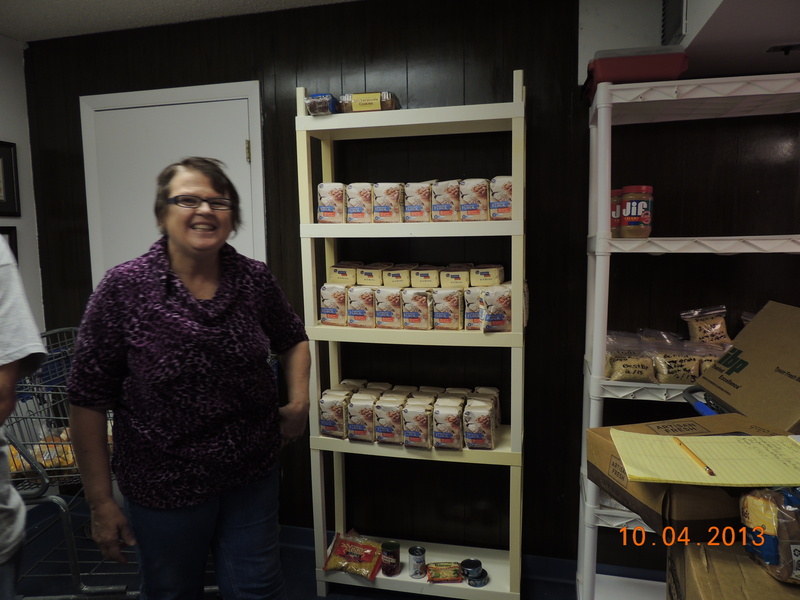 We deeply appreciate God providing for us this way and ask Him to bless Compassion Food Pantry and bless them a hundred fold!! 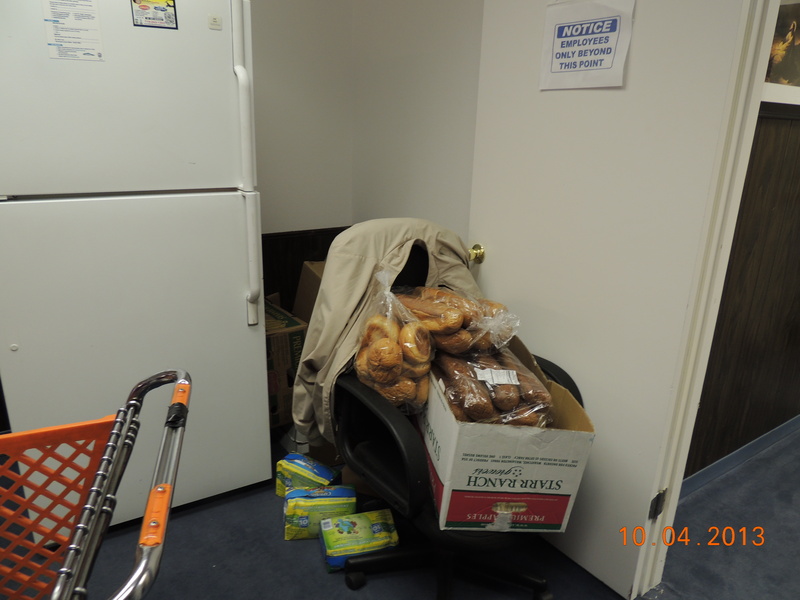 Soup and Bread are just a couple of the things donated! 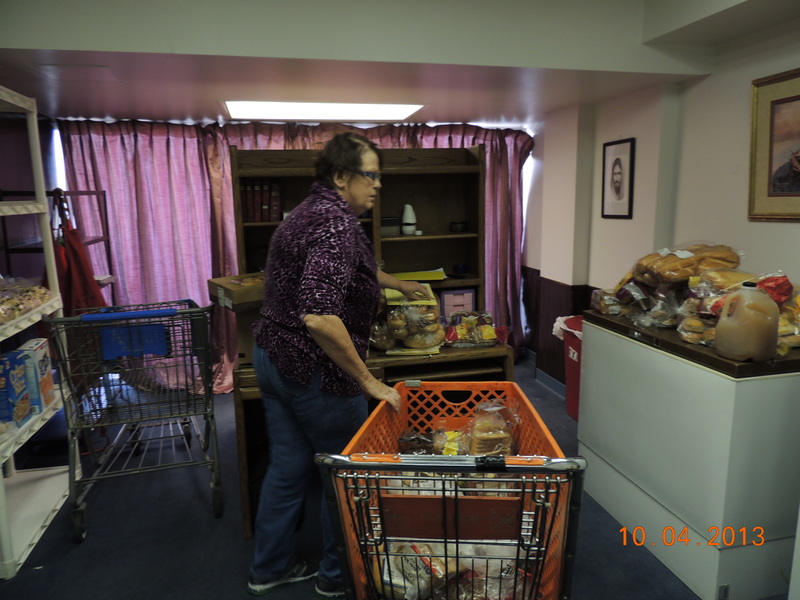 Bringing in the donations – Thank you JESUS!! Check it out!! 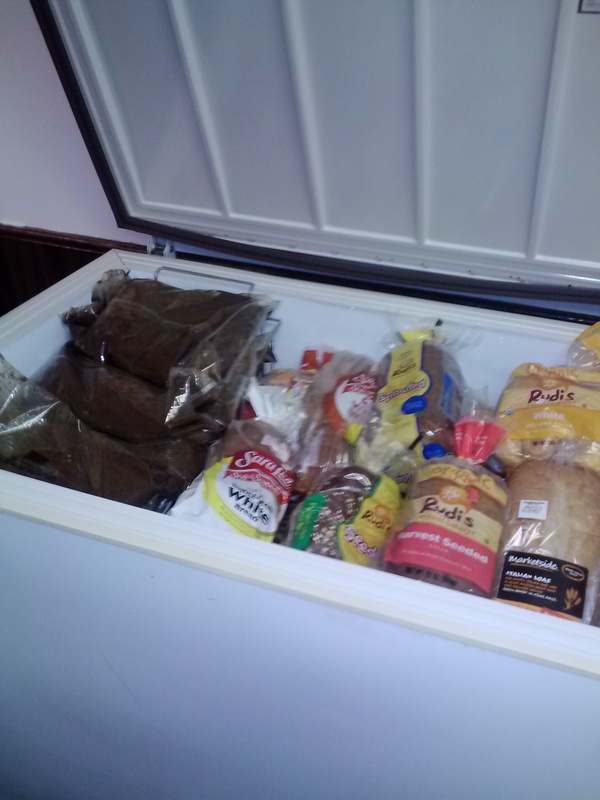 Our freezer is FULL!!! 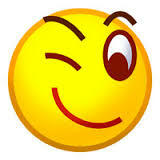 Good morning, I hope you are all well!! 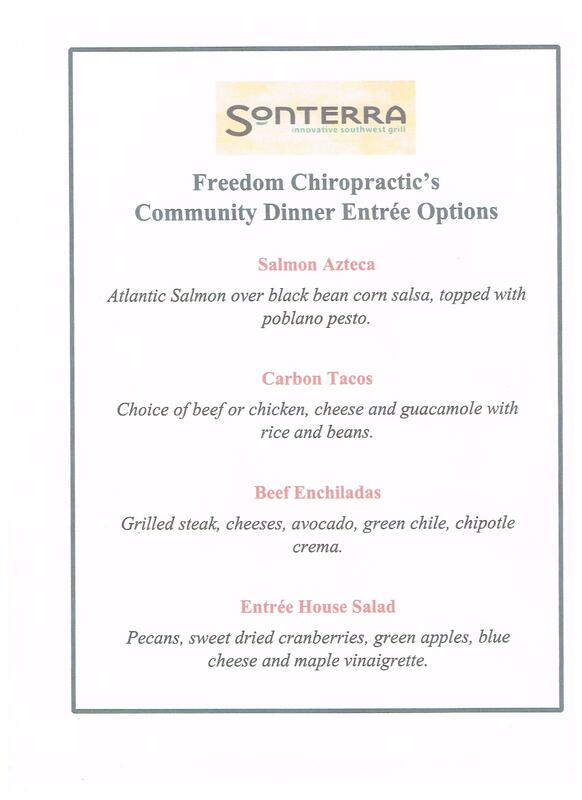 On October 14, 2013, Freedom Chiropractic will be hosting a dinner at Sonterra’s Grill, here in Colorado Springs. I do hope that some of you can attend, if you’re in the neighborhood. The tickets are $15 and all proceeds will go to Overcomers International Ministry. For more information or to obtain tickets, please call me at 719-646-5354 or email me at hhameed@oimco.org. Good morning. Today is the busiest day! It’s positively a zoo! 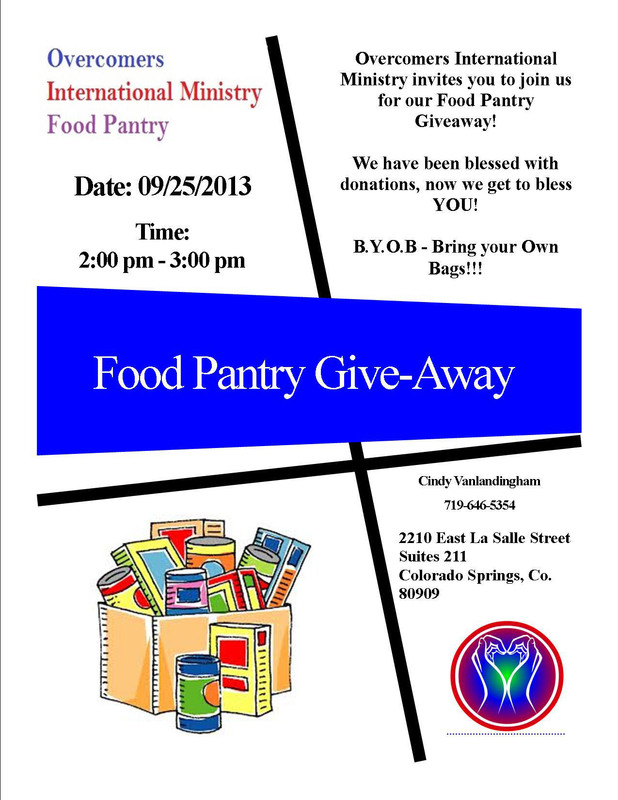 Today is the food giveaway here in Colorado Springs, CO and we are excited! People are starting to call – not as many as last time but we’ll see what happens. 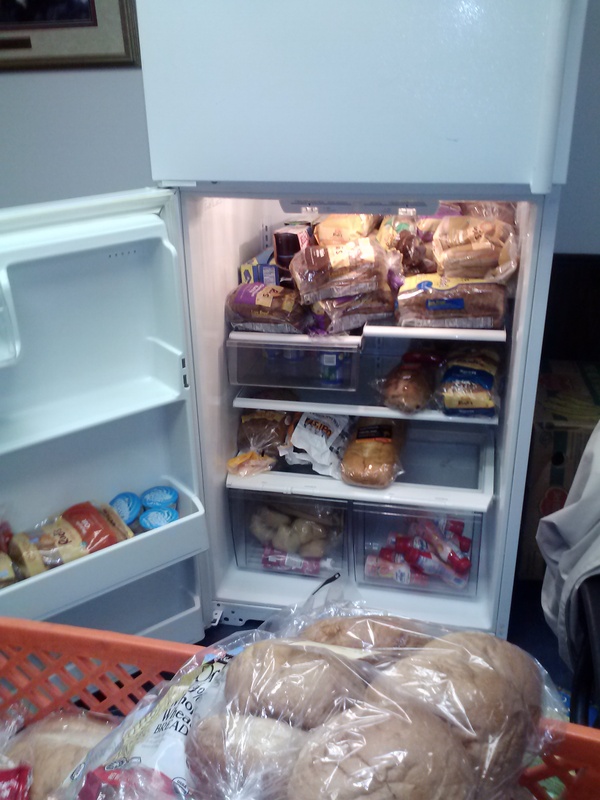 Praying the Lord will multiply the food we have and that people will be fed! 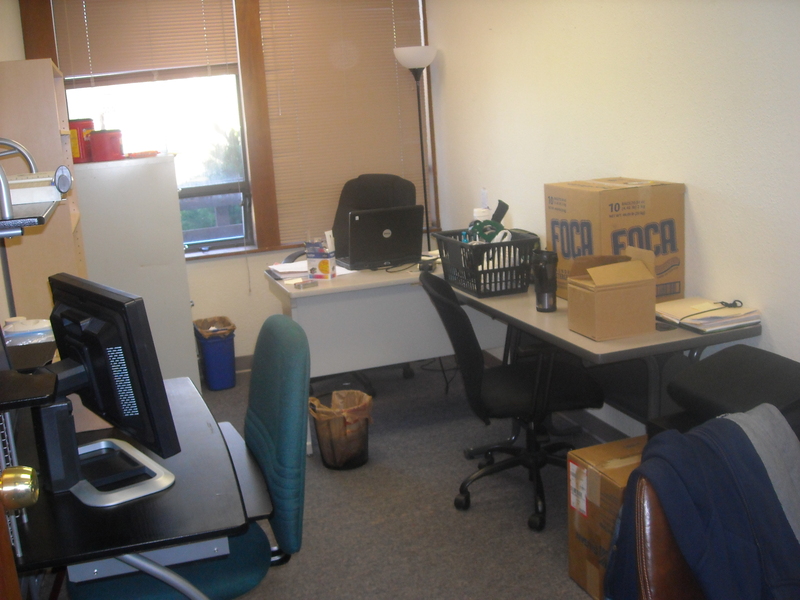 In addition to the preparation of the food giveaway, we are packing up the last of the offices to move to the new site! Changes are not easy – but they ARE necessary!! The new site (as I already introduced it in an earlier post) is lovely and I can’t WAIT to get there! I’ve been working with Apostle Iva to establish the Internet so there’s no hesitation in work between now and then. We are so thankful to God for this change of location. We pray that people all around the world, as well as in this, the United States of America, will pray for us, support us both financially and spiritually as the family of God needs to stand together and fill the niche that they’ve been led into. There are days when I wonder why I bother to write these – worry that people aren’t really paying it attention beyond liking it but I can’t allow myself to think that way. This is what God has established for me to do and I’m pretty decent at writing, so I continue to be obedient and trust that eventually, I will be able to establish conversation with people – to be able to help as many people as is possible. May God bless you and give you all that you stand in need of. We are struggling; no denying it or changing it until it changes through God’s power. We need this grant we’re working on- we’re not going to be able to do much until that happens. I have been working here for 7 months as a volunteer. We are ALL volunteers here and we need to move forward. We need prayer, ya’ll! 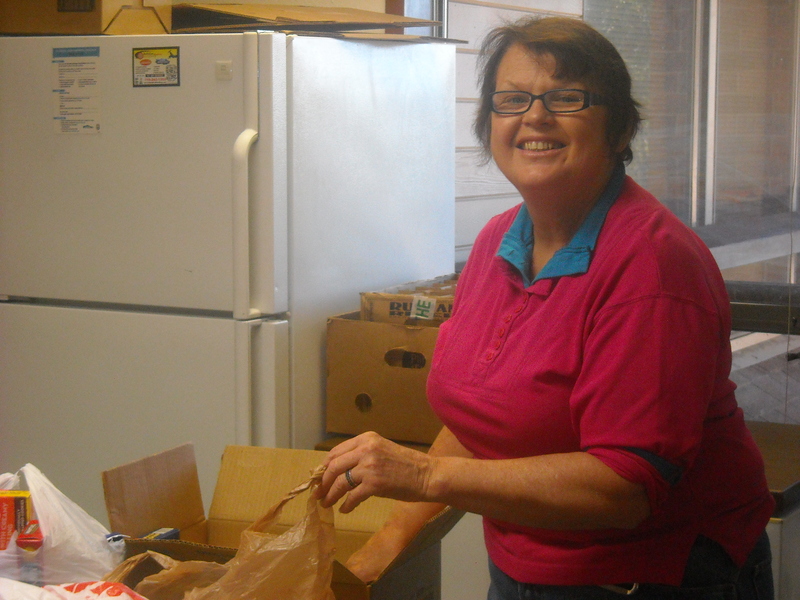 Should the Lord put it on your heart to give to this ministry, you can always visit http://www.oimco.org and contribute to Pay Pal or if you prefer to mail a check, it should go to OVERCOMERS INTERNATIONAL MINISTRY at 607 Bryce Dr, Colorado Springs, CO 80910 (the church). Pray for us – that’s my strongest plea. 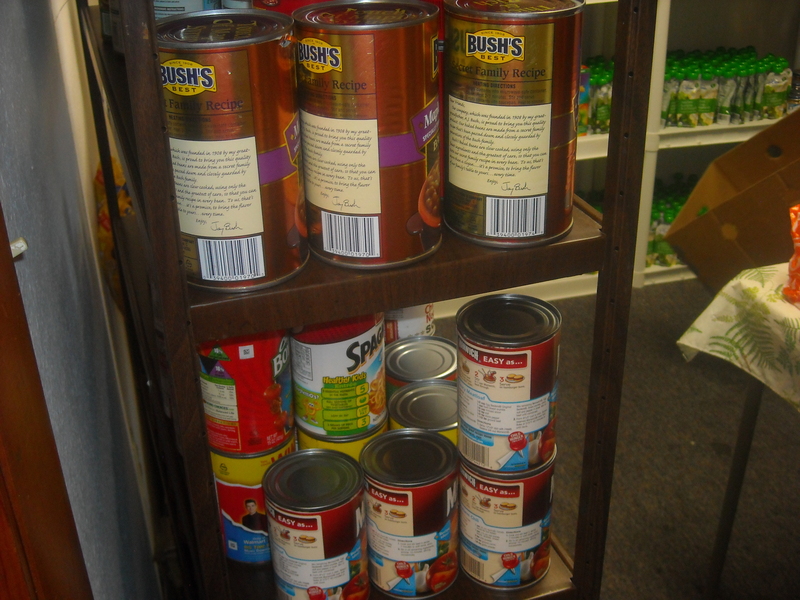 FOOD GIVEAWAY TOMORROW, SEPTEMBER 25, 2-3 PM. COME AND SEE US! !